Be The Next Mini Pop Kid! The search for the next Mini Pop Kid is ON! Be a part of the best-selling kids’ music group in Canada by following the step-by-step process below in order to be considered to join the cast of talent. We are looking for boys & girls between the ages of 9 -13 of all ethnicities. All applicants must be strong at singing & dancing (if you can play an instrument we would like to see that as well). Union & non-union registrants will be considered. 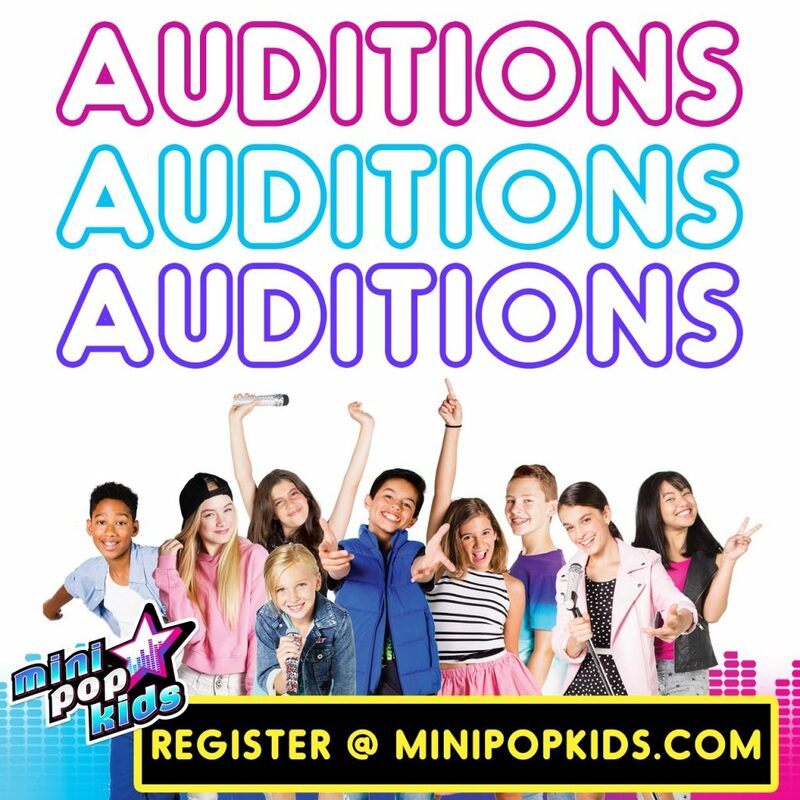 Please refer to our commercials, music videos & live tour videos online to see what the Mini Pop Kids are all about! All audition videos to be submitted by May 31st, 12:00 AM EST. Only those selected to move forward in the audition process will be contacted. You will need to be available on Saturday, June 2nd for a live audition in downtown Toronto. Can I perform online please.